CBS actually picked up four dramas, but only two full screeners -- "The Ex List" and "The Mentalist" -- were sent to critics. In the case of the midseason horror drama "Harper's Island," I understand the decision not to send out a pilot. The network picked the show up based on a presentation and even that presentation is expected to be entirely rewritten and almost entirely recast. "Harper's Island," then, is this season's "Moonlight." I don't understand as easily while "Eleventh Hour" wasn't sent out. 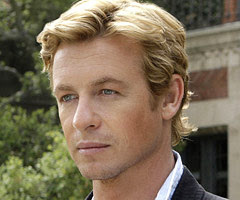 It was picked up and cast long before "The Ex List" or "The Mentalist" and its pilot plot is taken wholesale from the first part of the original British miniseries, which starred Patrick Stewart. The series will air after "CSI" on Thursday nights and it's a Jerry Bruckheimer production, so CBS may just figure critics don't matter in the process. It's also possible that there's a reason that co-star Marley Shelton wasn't mentioned in any CBS press releases for the show and is barely spotted in the clip reel. I've been told that she isn't being recast. For now I guess I'll believe that, though I wouldn't be the least bit shocked if Rufus Sewell has a different bodyguard come fall. Quick Response: The jump-off point -- ultra-observant man used to be a faux psychic now uses his perception to solve different sorts of problems -- is identical to that of USA's "Psych," but this being CBS, "The Mentalist" takes an ultra serious approach. Much of the show's appeal or lack thereof hinges on whether you believe, as CBS very obviously does, that Simon Baker is a huge TV star just waiting for his breakout vehicle. I had no problems with Baker in "The Guardian" and I actually liked him a lot in "Smith," though CBS cancelled the former for no reason and cancelled the latter for the very good reason that nobody was watching it. Baker is perfectly cast here, since he's got very expressive eyes and the point of the whole show is that his character keeps noticing things and the camera keeps cutting back to him squinting and processing data. I've never seen more insert shots in my life, because for this guy, life is just cluttered with clues. The show's main cast -- featuring Robin Tunney, Owain Yeoman, Tim Kang and a miscast Amanda Righetti -- is strong and the guest cast is outrageously guest star laden. If you blow out Steven Culp, Gail O'Grady, Jeffrey Nordling, Zeljko Ivanek and Tim Guinee in a single episode, how can you hope to make it through three or four seasons?!?!? It's been a while since CBS effectively launched a show with tonal variation and "The Mentalist" suffers from being far too serious for its own good. I get that the main character is quirky and haunted and obsessive, but if he doesn't find some levity, this could become an unpleasant slog. The pilot is very straight-forward procedural, but it also introduces a serial killer named Red John, who will presumably be an ongoing aspect. I was interested in the fact that the main character's maverick independence is already grating on the members of his team, who are feeling superfluous. That could either make for a good dynamic, or they'll actually become superfluous. Desire to Watch Again: Moderate. This is a good fit with CBS' lineup and I'd expect it to be successful. The Pitch: "My Husband's Name May Be Earl"
Quick Response: I absolutely understand CBS' decision to cancel "Moonlight." Yes, the network opened the door for outrage from a fanbase that's utterly irrational, but if CBS wants to cancel its lowest rated Friday drama, that's the network's priority. No drama returning to CBS' schedule had fewer viewers than "Moonlight" and the network cancelled dramas with more viewers. Stop bitching, "Moonlight" fans. And stop nattering about that People's Choice Award. BUT... If the network was going to cancel "Moonlight," some effort should have been put into replacing it with a show with just a wee bit more broad-based appeal, because no straight man on this planet is going to voluntarily watch "The Ex List." EVER. Elizabeth Reaser is a fine series lead. She's beautiful and capable of being both serious and funny. Rachel Boston has a sexiness and an energy that makes her an absolutely force of nature and Alexandra Breckenridge couldn't be cuter. But there is no genre I hate more than the "Successful and ridiculously attractive woman who has everything she could ever want except a man and thus she remains pathetically unfulfilled even though her life appears pretty great from the outside" TV/movie subset. "The Ex List" makes things worse by putting a one-year timetable on the main character's desperation (a timetable that's bound to cause near-instant narrative problems and self-imposed urgency, a la "How I Met Your Mother"). The ex-boyfriend-of-the-week structure gets off to an amusing start with Eric Balfour playing an emotionally vulnerable douche of a musician. It's the part he was born to play and he's funny enough that you may want him to return. Maybe. There are some sharp lines in Diane Ruggiero script, but they don't mask that it's just women whining about how hard it is to find a good man. And then there's a b-plot about pubic hair. Yes. Really. When I say no man is ever going to watch this show, I'm not kidding. So if they don't hold 100% of the female audience coming out of "Ghost Whisperer," the show is dead and don't expect "Moonlight" fans to be generous about its demise. I know "Ghost Whisperer" skews female and "Moonlight" did as well, but doesn't "Numb3rs" draw male viewers? Desire to Watch Again: Low, though early fall boredom could convince me to give it a second chance. But there is no genre I hate more than the "Successful and ridiculously attractive woman who has everything she could ever want except a man and thus she remains pathetically unfulfilled even though her life appears pretty great from the outside" TV/movie subset. There aren't many I hate more than that, so I can guarantee that it's not going to appeal to all women either. Eric Balfour in a pilot? Sweet. How are things looking for Kathleen Robertson? Takabbur dailymotion In a recent interview, Kajol talked about her craze for Pakistani dramas. She said a while back it would have been totally impossible for a Bollywood actor to religiously follow Pakistani soaps or be enthusiastic about them, but things have totally changed.